2014 appears to be one of those years that isn’t that great for all of the awards. While I do like some of the nominations Best Actress, I don’t love all of them. The problem is that with perhaps a single exception, most of the substitutions I’d consider are either in small genre pictures or are borderline (at best) between Actress and Supporting Actress. In terms of genre films, the two in question from the world of horror are Maika Monroe in It Follows and Alex Essoe in Starry Eyes. It Follows is the better film, but Essoe gives the better and more committed performance of the two. Elisabeth Moss is very good in The One I Love, but it seems that not many people saw that movie. Saoirse Ronan is almost certainly supporting in The Grand Budapest Hotel. No, the one I’d most want to add is Alicia Vikander in Ex Machina, whose absence here makes absolutely no sense to me. 5. I said above that I like some of the nominations, which implies that I don’t like all of them. That would be accurate. 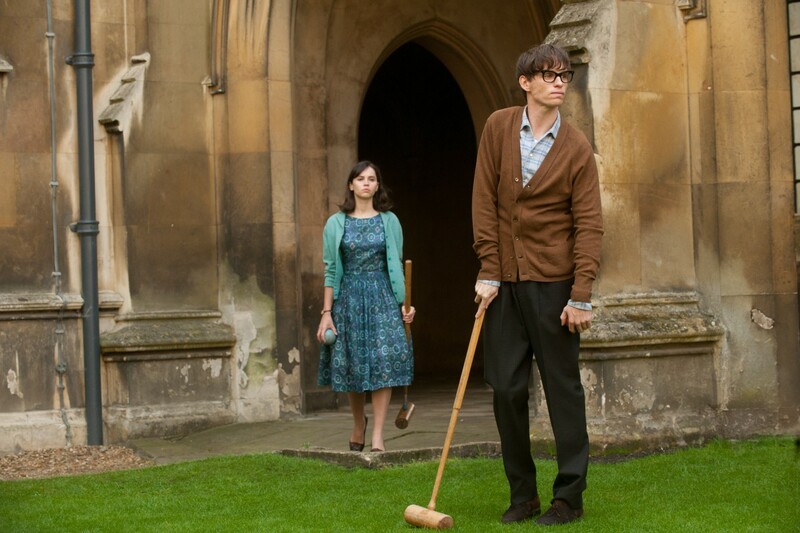 I don’t love the nomination for Felicity Jones in The Theory of Everything for several reasons. 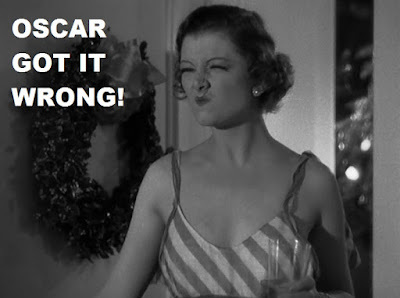 The main one is that I barely remember her in the film. Every part of that movie is dominated by Eddie Redmayne, and I can barely remember that Felicity Jones was even on screen most of the time. When you realize that Alicia Vikander’s performance was ignored, Jones’s nomination becomes more infuriating. 4. I try very hard not to let my opinion of a character get in the way of my opinion of a performance, but there are times when that’s pretty hard. That’s certainly the case with Wild and Reese Witherspoon. Since I really, really dislike the character, I admit to struggling to find anything much to like about the performance as well. This character is self-important and kind of awful, and nothing will change my mind on that score. That Reese Witherspoon didn’t do anything that special doesn’t help her case. 3. I’m putting Marion Cotillard in third place along with Two Days, One Night. It’s worth saying that this is the first of the nominations I don’t hate. It’s a good role, and Cotillard is a good enough actress that she’s going to handle it well. In truth, the only real issue I take with it is that I like the other nominations better. Cotillard plays the part well (no surprises there), but simply doesn’t quite stand up to the other two nominations. Good, even great, but not worthy of a little golden man. 2. I think it sounds rude to say that Julianne Moore won this Oscar for Still Alice because, as with Leonardo DiCaprio the following year everyone thought it was her turn to win. There was a pretty big push for Moore, the consensus being that she had more than earned an Oscar in the past and never won, so the next moderately close to being worthy performance is the one that should get her there. I see that, even if I disagree. Still Alice is a very good film with solid performances from everyone involved, especially Moore, but it’s not the best performance of its year. 1. I think Rosemund Pike was robbed for her amazingly cold-blooded performance in Gone Girl. This is a film where I like the parts much better than I like the whole, and Rosamund Poke, virtually absent from the first half, dominates the second half of the film completely. It is a performance that is equal parts contempt, cunning, fear, and excitement. 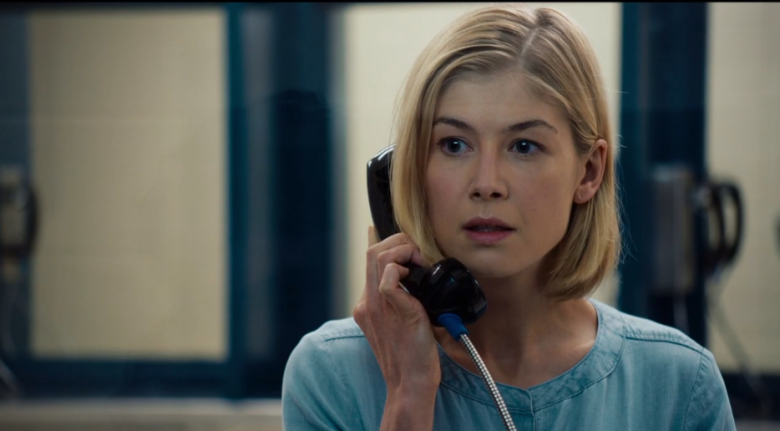 It’s difficult to express how terrible a character Rosamund Pike plays and how perfectly she plays her. It’s a master class on acting, and she deserved to be rewarded for it. Besides Alicia Vikander, Shailene Woodley is also missing from the contenders, and I say this after I believe that she should have gotten a Razzie for her performance in 2014's Divergent. Her wooden performance helped to doom that YA series of books to the film purgatory that the likes of "The Golden Compass" finds itself in. That purgatory where the viewers never get to see the best book on screen as the series was killed well before we ever got close to that final page/curtain. However, she did manage to rise to the top of 2014 by carrying a one book film about a very heavy subject, teens struggling to survive the ravages of cancer. Without her truly amazing performance, I doubt that The Fault in Our Stars would have ever come close to making over $300 million on a $12 million dollar budget. While not quite a perfectly true rendition of the book, it is definitely one of the better ones. Something that the producers of the three "Divergent" films (the last one was broke into two with the finale to never be filmed), and the last two "The Hunger Games" films, could have better emulated. You are literally the second person to even mention The Fault in Our Stars to me as a movie in the months since its release. It's never really been on my radar. It wasn't on mine either until some of my students bought me a copy of the book to read from their generation. It was a really thoughtful gift for someone who loves to read as much as I do; however, I would have appreciated "Old Man Logan" a lot more. A year later, a similarly themed film (also with a book to read first), Me and Earl and the Dying Girl was released. While a Sundance Audience award winner (as it is a film lover's film), average Joes and Janes didn't really care for it, and it barely broke even at the box office. I also agree with Essie Davis needing to be mentioned as a contender, especially as "The Babadook" is a film I don't mind recommending to people looking for scary movie that's really good. Well, my Oscar lists are winding down, so I'll need other things to watch. I'll keep an eye out for it. I really need to see The Babadook one of these days. It's not always easy for me to find time for horror movies, because everyone else in my family hates them, which means I generally can't even watch them in my living room unless I'm the only person home. Yay, we have a match! I am completely with you on Pike. I remember being in the theater as the credits on Gone Girl rolled and just being blown away by her performance. For me, there wasn't anything really that close. I say that having not seen Still Alice, but I have all the other noms. I love your praise of Essoe in Starry Eyes. I agree, It Follows is the better movie, but Essoe gives the better performance, and by a good margin. However, there is one other horror performance from that year I think is even better: Essie Davis in The Babadook. It was an acclaimed enough film for her to get some looks from the Academy, but alas, they ignored her. A couple others I'd consider are Gugu Mbatha-Raw in Beyond the Lights and Anne Dorval in Mommy. Not really trying to be that dude, but I have to point out that Ex Machina is actually a 2015 film. That year it was nominated for Best Original Screenplay and Best Visual Effects, winning the latter. Vikander was only partially ignored. She wasn't nominated for Ex Machina but won Best Supporting Actress for The Danish Girl. Still Alice is worth a viewing, but I don't know that you need to move it to the top of your list. It can keep. I still need to see The Babadook, which is a little embarrassing to admit. I'll get there soon enough. Regarding Ex Machina, I agree with you in principle. I certainly saw the film in the theater in the middle of 2015, and it got its Oscar nominations for 2015 (and Vikander was still ignored). However, Letterboxd, Wikipedia, and IMDB all list it as a 2014 film. In a case like this, I'm sure that it will get mentioned when I roll up 2015 films as well, because that is where I remember it. Speaking of tiny movies with great performances from 2014 that very people seem to have watched, Zoe Kazan's work in In Your Eyes is well worth tracking down. I think my only exposure to Zoe Kazan is Ruby Sparks, and that's not a movie that made me want to hunt down more Zoe Kazan films. Still, I'll give it a look. Nice round up. Jessica Chastain in The Disappearance of Eleanor Rigby was my favorite female lead role of the year, but there's no way the Academy was going to touch that movie(s). Of the nominees, I too was shocked that Rosemund Pike's buzz died almost immediately. When I saw the film, I thought she'd be a lock. Sad she was ignored. Cotillard would've ultimately gotten my vote though. Cotillard was good--she usually is. Pike is so cold-blooded, though, that I found her fascinating. I missed all of the Eleanor Rigby films, but have thought about checking them out.